Black don’t crack but sis, you should still apply your sunscreen! The summer season is quickly approaching and I know we love ourselves a good sundress but are you taking good care of your skin though? With summer comes an increased exposure of UV radiation to the skin. and while you’re getting your golden, radiant color back, you’re also putting yourself at risk for skin damage or even cancer. Skin damage can be preventable. Just in case you need a little more convincing, let’s take it back to school with the science behind skin damage. Most UV rays come from direct exposure to the sunlight. UV rays are powerful enough to cause damage the DNA in skin cells which alters the way skins multiply and divide. Once there is an issue with the way the skin cells grow, the affected cells have the potential to be cancerous. Melanoma is a form of skin cancer and interestingly enough, some of the genes changes that are present in melanoma cells are not actually inherited but due to lifestyle choices meaning that it may be preventable. Implementing best practices for your skin can help you transform the way you also care for your body. For as long as I can remember, I’ve been told the dangerous myth that I am exempt from skin damage. I never cared to wear sunscreen and for the most part, it was primarily due to the white cast that would stain my face. I actually only started wearing sunscreen in march of 2018 and if I knew what I know now, I would’ve made the switch a lot sooner. Whether I’m looking to slay my face or keep it natural, applying my sunscreen is always part of my daily skin care routine. But in true Melanin Moi fashion, we got you covered with a super black-girl friendly sunscreen brand that will change your life forever! 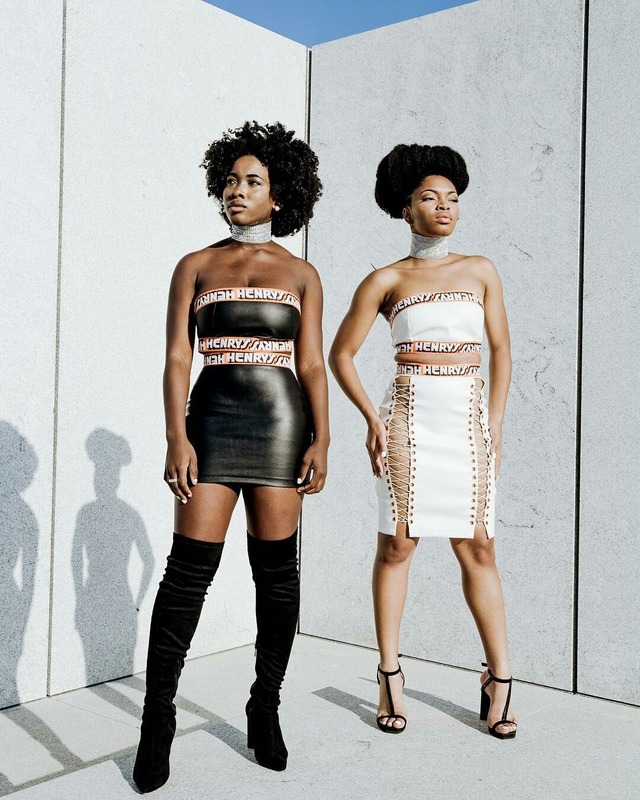 Meet Black Girl Sunscreen, the company that is changing the game for black woman and sunscreen. We were able to sit down with the Founder of Black Girl Sunscreen and ask some questions we’d thought you’d like to know! FD: Tell us about yourself, your skin type, and why you created Black Girl Sunscreen? SL: My name is Shontay Lundy and I created Black Girl Sunscreen because I was underwhelmed by the options for skin protection for women of color. As a woman of the sun with a darker complexion, healthy skin has always been a priority for me and I knew that there had to be a solution to the lack of options. With this motivation, the journey began to find a solution eliminating white residue and making women of color feel and look good in the sun. FD: Why do you think there is a need for melanin women to have a sunscreen brand that caters exclusively to them? SL: I think there are two very important reasons. First, big brand sunscreens have historically ignored us. Their products leave a white residue on our skin because these products weren’t made for us. We deserve to have a product that will make us look good and feel good in the sun. Second, we need to dispel the myth that people of color don’t need sunscreen. Having a product that caters to melanin women raises this awareness and answers the dire need. We all need to protect our skin, period. FD: Why does the use of sunscreen typically leave an ashy / white pastey look for women of color? And How does Black Girl Sunscreen leave a natural non-white residue for women of color? SL: There are a couple of reasons why women of color may experience a pasty look after applying sunscreen; zinc oxide, and the fact the ingredients aren’t meant to rub in the skin. Black Girl Sunscreen is infused with natural ingredients (Avocado, Jojoba, Cacao, Carrot Juice, Sun Flower Oil) that rub into our skin completely. It will leave your skin feeling smooth with a glow preparing you to fight against the relentless sun. FD: How bad does natural sunlight/sun rays affect our skin? SL: Thanks to our melanin magic, we do have some natural protection from the sun’s harmful rays but make no mistake about it, no one is immune to the damage caused by the sun. We still burn and are susceptible to sun-induced damage such as sun spots, premature aging, wrinkles, hyperpigmentation and cancer. In fact, researchers have shown that people of color are more likely to die from skin cancer than people with fairer skin. The moral of the story is that we all need to protect our skin! FD: Are there any chemicals used in your products? SL: Technically, we are a synthetic sunscreen meaning our product contains organic (carbonbased) compounds, such as avobenzone and octisalate, which protect the skin from harmful UVB and UVA rays from the sun. We have eliminated harmful chemicals such as oxybenzone and octinoxate, which means you don’t have to worry about toxins disrupting your hormones. We are also paraben-free so our sunscreen is environmentally friendly. FD: Is it okay to wear sunscreen under makeup? SL: It is more than okay, it is essential to wear moisturizer and sunscreen under your makeup. That is why we created Black Girl Sunscreen as an everyday SPF 30 moisturizer for your face and body. You only need to use our product to protect and soothe your skin. Stay moisturized and protect your skin! Make sure to check out Black Girl Sunscreen and add this product into your daily skincare routine. Let us know if you’re coppin’ and tag @blackgirlsunscreen and @melanin.moi on social media. Great read! My skin burns easy!!!!! I love supporting black women and would love to try/ use this product. I feel save using something created by a black women for black ppl! I would love to try the black girl sunscreen, because most sunscreens are not designed to protect my skin properly. Yess! Sunscreen for us by us, MUCH NEEDED! Not to mention that if you are predisposed (genetically) to a disease like lupus, not using sunscreen and being out in the sun can trigger lesions and such. Like Shontay Lundy, I am also very much a child of the sun! I’ve lived my entire life in California, and we love our sunshine here! Growing up, I spent my summers at outdoor day camps so I was constantly exposed to the sun. To this day, I love hiking and spending time at the beach and exploring my city, so I definitely don’t hide from the sun. Thankfully, my mom has always made sure that I knew I needed to protect my skin, even though I have a very deep complexion, but I also never realized how toxic some of the ingredients in standard sunscreen were. Now that I’m more aware of the ingredients in my products, I usually like to make sure the products I put on and into my body are free from a lot of chemicals and more naturally-based. The clean aspect of Black Girl Sunscreen is the main reason I’d love to try it! Aside from that, I’m excited to hear that it won’t leave a pastey residue on my skin. I promise you that when I use regular sunscreen, I feel like one of the Gross sisters from The Proud Family! I look bluish and ashy, which is not a good look. This coming summer, I’ll be working a very important internship which might become my full-time job after I graduate, so I want to make sure that I can be protected from the strong California sun while also looking my best (not like a Smurfette). Lastly, I’m excited for the opportunity to support yet another black business and share its message! I think this is especially important in a type of business that black people don’t usually involve themselves in (i.e., a lot of black people don’t even buy sunscreen because they think black people don’t need it). But I think using Black Girl Sunscreen will not only spread the word about its existence and tailoring to black people, but also help educate those who don’t believe they need protection from the sun. My mom would be very proud of this product! Thank you for sharing about Black Girl Sunscreen! I was so happy when I found out about this product. At first, I didn’t know that black people needed sunscreen until my friend, who is an aesthetician and make up artist, schooled me on the topic. I had been using a sunscreen that was not good for my skin. It left a ghostly look to my face and I hated it. I had no idea that there was a better product for us black women. I want to try this product bc I want to protect my skin with not only a safer product, but a black owned one as well. Also, I have dark spots on my face and I don’t want them to get darker from the sun.